Ahead of Saturday’s opener against Brazil, Coach of the Flamingoes, Bala Nikyu has assured that his girls have what it takes to achieve victory. Nikyu made this known while fielding questions from the media, during the pre-match Press Conference for both teams, after Flamingoes’ official training session Friday afternoon at the King Abdullah II International Stadium in Amman. The Nigerian head coach said his girls know what they are up against and will take every game serious. Coach of Brazil U-17 girls, Luizao said his girls have been training for three years since missing out on qualifying for the 2014 World Cup in Costa Rica, and insisted they want to do well and are aiming for a long run in the competition. Flamingoes Captain, Rasheedat Ajibade said the girls are in a confident mood going into tomorrow’s game and are targeting to perform well, rewrite history and go far in the competition. Her Brazilian counterpart, Angelina Constantino stated that the Brazilian girls came prepared and are good to go. The Flamingoes will confront Brazil in the opening match of group C at 4pm local time (2pm Nigerian time) on Saturday at the 12,000 –capacity King Abdullah II International Stadium in Amman. Three foreign stars at Rivers United, Godbless Asamoah, Wilson Andoh and Guy Kuemian have expressed hope that the club claims at least a CAF Champions League ticket at the end of the current Nigeria Professional Football League (NPFL) season. United will be guaranteed a place in Africa’s elite club competition next year if they finish in the top two position in this season’s NPFL and they still retain a mathematical chance of winning the title at the end of the current campaign. The Port Harcourt club currently trail the leaders, Enugu Rangers by three points and will be guaranteed, at least a second place finish in the league, if they win their final league game of the season, away to Akwa United. Asamoah was the first to speak and he explained that winning the crucial game against the ‘Promise Keepers’ is vital if his side to end the season on a high. “Since we drew that last (NPFL game at home to Abia Warriors last Sunday), the mind set amongst the players is to go to Uyo and win against Akwa United. “That will make the fans and us, players happy so we will do our best to win that last game. “We are working hard to achieve that,” the Ghanaian striker told RIVERS UNITED MEDIA. Asamoah’s compatriot, Andoh also echoed the sentiments of his teammate stating that a win in Uyo is non-negotiable. “We need to win against Akwa United and we have our destiny in our hands. “Drawing against Abia Warriors was not good for us as we felt we would get the win and consolidate our position on the log,” he said. The final salvo was fired by Ivoirian marksman, Kuemian who spoke about his desire to help ‘the Pride of Rivers’ secure CAF Champions League football this season. “The match against Akwa United is important for us especially as we want CAF Champions League football in Port Harcourt next season. “We are preparing very hard for the game on Sunday so we can get the win,” he said. Rivers United is currently in second place on the NPFL standings with 57 points from 35 matches. The Nigeria Football Federation has condemned, in very strong terms, a report in some media outlets including America’s Cable News Network (CNN) that it cannot fly the Super Eagles to a 2018 FIFA World Cup qualifying match in Ndola on Sunday, 9th October 2016. Nigeria’s football –governing body viewed the report as baseless, misleading and despicable, not only against Nigerian football, but against the Nigerian nation. The NFF insisted that the report was the concoction of an idle mind and challenged the purveyors of the falsehood to name their source. On Thursday, the NFF assured Nigerians that it had concluded arrangements on getting players and officials of the Super Eagles to Abuja for a training camp starting on Sunday, 2nd October, getting the team to and from Zambia and getting the players back to their various Clubs after the national assignment. The body called for the support and prayers of Nigerians at this time, and urged that the players be allowed to focus on the big task of qualifying the nation to the 2018 FIFA World Cup, without so much negative stories and insinuations. The NFF noted that over the past few months, some persons have made it their business to fabricate unhealthy stories about the NFF and Nigerian football. It called on all stakeholders to disregard, henceforth, any report about the NFF that did not emanate from the NFF Communications Department. While admitting financial challenges as a result of the current state of the economy, the NFF expressed solid faith that matters would never get to the point of Nigeria being unable to get its National Team to the venue of a competitive match or championship. Ahead of their group phase clash with Brazil on Saturday, at the 5th FIFA U17 Women’s World Cup, Nigeria’s U17 girls, Flamingoes resumed training on Wednesday afternoon at the Al Wehdat Training Field, Amman with all 21 players participating actively. The girls were also scheduled to train at the same venue on Thursday. 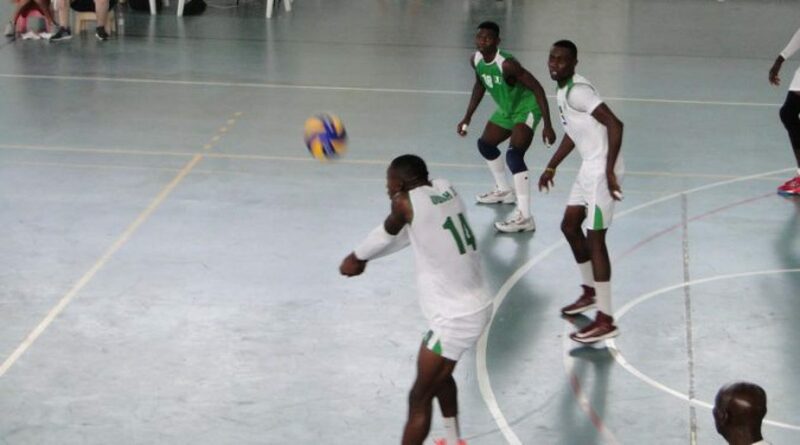 The Nigeria team had arrived Amman on Tuesday morning, after flying from Abuja to Dubai and connecting another Emirates Airline flight from Dubai to the Jordanian capital. Earlier on Wednesday, officials of world football –governing body FIFA conducted the team arrival meeting where Captain Rasheedat Ajibade was presented with Nigeria’s plaque and all the players were given Certificate of Participation. Also at the team arrival meeting, every member of the team was accredited, while various issues on the tournament like venue contact information, stadium and training facilities, pre and post match conferences and laws of the game were discussed in detail. The 5th FIFA U17 Women’s World Cup will start on Friday. A total of 16 countries will battle for honours in the three Jordanian cities of Amman, Irbid and Al Zarqa. Super Eagles striker and former Sunshine Stars of Akure star player, Tunde Adeniji, says he is confident the Super Eagles will qualify for Russia 2018 world cup. Adeniji who was capped four times under former Super Eagles coach Sunday Oliseh added that with the quality of players available to new coach Gernot Rohr he is sure they can beat Algeria, Cameroon and Zambia to the sole ticket in group B of the world cup qualifier. “I believe Super Eagles can qualify for the world cup because all the players invited for the Zambia game are very good players and with determination, they can make it. My hope is that I will soon get an invite to come help my country because I know my goals can take the team to the world cup.” Adeniji said. Last season, Adeniji, nicknamed “The Tiger” because of his ability to wear down the opposition’s defence, scored 16 goals for Sunshine Stars, one goal short of Gbolahan Salami who won the Nigeria Professional Football League, NPFL highest goal scorer award with 17 goals. He moved to Europe in February after signing a contract with top Bulgarian club Levski Sofia and has since fired in four goals in eight matches played this season, winning five man-of-the-match awards in the process. “My coach in Sofia has a lot of confidence in me, I have played eight matches, scored four goals, won five man-of-the-match awards, one player of the month award and I am still looking for more.” Tunde said confidently. The Super Eagles will face the Chipolopolo of Zambia in a 2018 world cup qualifying game in Ndola on Sunday, 9th October 2016 without “The Tiger”. Enyimba FC would like to announce the contract expiration of striker Ifeanyi Onuigbo. Onuigbo was a part of Enyimba’s CAF Champions League team that reached the group phase of the tournament after making a mid-season switch from Heartland. He also made a handful of appearances in the Nigeria Professional Football League. We thank him for his contributions to the team and we wish him all the best. Nigeria Pillar Of Sports, Chief Donatus Agu Ejidike has charged athletes and officials participating in the National Youth Games on going in Ilorin, Kwara State, to put up their best performances and raise the standards at the games. He made this charge during a telephone chat from his Ilorin base. “I commend the organisers of the games and say this is a good step in the right direction, “he noted. ” This youth games should be seen as a platform to unearth fresh and younger talents for the country. Therefore, I want to implore the athletes and officials participating in the games to up the ante and produce top class performances in line with Olympic Games standards, “Ejidike who also doubles as the President of the Nigeria Karate Federation urged. Speaking further, the sports philanthropist revealed his satisfaction on the news that Karate will be one of the sports at the 2020 Olympic Games in Japan. Adding that with the improvement of Karate in Nigeria and the growing enthusiasm of the sport, he believes the country would be well represented in Japan. “I am optimistic that Nigeria would be well represented at the next Olympic games in Japan. Towards that, Nigeria Karate Federation have mapped out plans to organise various tournaments and refresher trainings for the athletes and officials ahead of African and global championships, particularly, the next Olympic games, “he enthused.